Partners Healthcare, the state’s largest employer (with over 60,000 employees) now covers acupuncture through their health plan Allways Health (formerly Neighborhood Health) and I am a provider. If you are a Partners employee or know any (chances are you do!) let them know that they can try acupuncture for that nagging pain or recurring chronic issue. Most people I have encountered are covered 40 visits a year w/ a $15 copay! Book or get in touch to inquire. The holiday season is upon us once again. What better gift to give the person who has everything than the gift of health! Gift certificates are available in any denomination through Friday 12/21. 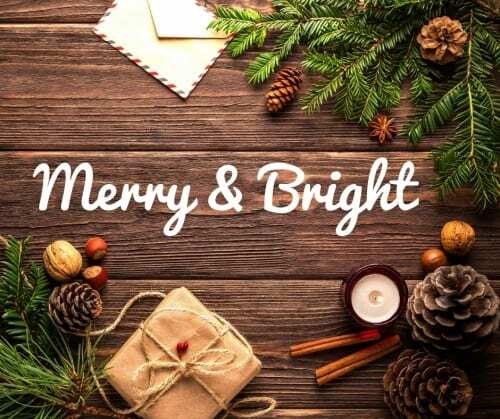 The office will be closed Saturday 12/22 and re-open the day after Christmas. Enjoy the holidays! http://www.jayguanciacupuncture.com/wp-content/uploads/2015/12/jay-guanci-acupuncture-logo.png 0 0 admin http://www.jayguanciacupuncture.com/wp-content/uploads/2015/12/jay-guanci-acupuncture-logo.png admin2018-12-07 11:47:342018-12-07 11:47:47'Tis The Season! http://www.jayguanciacupuncture.com/wp-content/uploads/2015/12/jay-guanci-acupuncture-logo.png 0 0 admin http://www.jayguanciacupuncture.com/wp-content/uploads/2015/12/jay-guanci-acupuncture-logo.png admin2018-01-21 08:54:332018-01-27 10:48:53Winter Yoga and Acupuncture Classes!! Spring is finally here and with it comes the dreaded allergy season. For those who suffer with seasonal allergies in the Spring and Fall here are a few tips to help you through this season. Wash your face and hair at night before bed. Pollen that is in the air outside can stick to your skin and hair and it’s important to remove that before snuggling in for the night. Wash hands after handling your pets. When we are having seasonal allergies and inflammation the body becomes sensitive to other types of allergen such as pet dander, dust and molds. Also, if pets are outside they could be covered in pollen. Change sheets regularly and pillow case daily. Seems like overkill but if your allergies are intense worth investing in a few spare pillow cases. Eat local honey. Research shows that small doses of allergens may act as a primer for the immune system. It allows your immune system to recognize the allergen and fight it more effectively. A small amount works well, but do not overdo it. Sunglasses can keep pollen out of your eyes when outside for extended periods of time. Avoid exposure to chemicals, perfumes, smoke and harmful detergents and cleaners, especially during this time. Get plenty of restorative sleep! An excellent way to boost your immune system. Get some acupuncture. There are some great points to open you up and stop your itching! Spring Yoga and Acupuncture – 1 more classes added! Thanks to all who have attended the yoga and acupuncture combo classes. The last 2 were completely sold out!! Sign up early! Follow the links to register! Hope to see some of you there! Appropriate for all levels. http://www.jayguanciacupuncture.com/wp-content/uploads/2015/12/jay-guanci-acupuncture-logo.png 0 0 admin http://www.jayguanciacupuncture.com/wp-content/uploads/2015/12/jay-guanci-acupuncture-logo.png admin2017-04-06 18:51:332017-04-06 18:51:42Spring Yoga and Acupuncture - 1 more classes added! 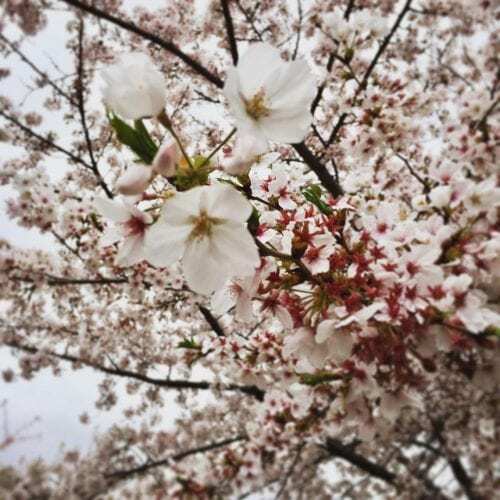 Spring Acupuncture Yoga Classes added! http://www.jayguanciacupuncture.com/wp-content/uploads/2015/12/jay-guanci-acupuncture-logo.png 0 0 admin http://www.jayguanciacupuncture.com/wp-content/uploads/2015/12/jay-guanci-acupuncture-logo.png admin2017-03-06 18:02:512017-03-06 18:02:51Spring Acupuncture Yoga Classes added! Winter Yoga and Acupuncture classes! The fall series of yoga classes were all well attended or sold out! We are doing several more this winter. No experience needed. Come relax with us! Reach out with questions! http://www.jayguanciacupuncture.com/wp-content/uploads/2015/12/jay-guanci-acupuncture-logo.png 0 0 admin http://www.jayguanciacupuncture.com/wp-content/uploads/2015/12/jay-guanci-acupuncture-logo.png admin2016-12-22 17:47:402016-12-22 17:47:40Winter Yoga and Acupuncture classes! 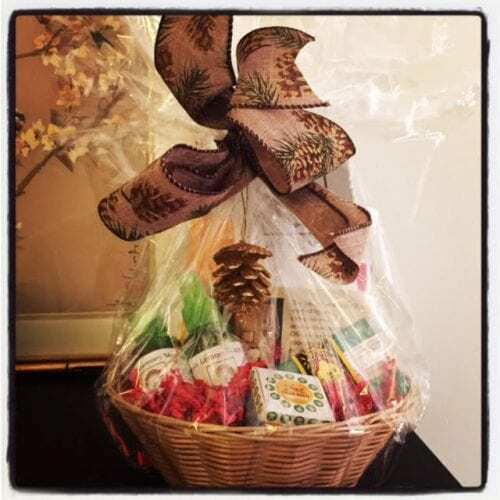 Gift Baskets, Yoga/Acupuncture classes and More! – Most insurances run the calendar year. If you’ve met your deductible and want to get in a couple more times before the end of the year let me know! – Most flex spending accounts expire the end of the year so if you have dollars to use, schedule and appt to use it up before it’s lost! I’ll be working a full schedule the week between Christmas and New Year’s Eve for those with time off who would like to get in. – I have some lovely gift baskets available for purchase ($100 each). Each one includes a card for a treatment along with some other goodies like Arnicare, Tiger Balm, a pain patch, massage oil, room spray, soap, lip balm, tea and snacks. A perfect gift for someone in your life who has everything already and doesn’t need more stuff. Give the gift of health! Inquire with me and come pick one up. Supplies are limited. – I’m doing 2 more yoga/acupuncture combo classes in the next month. Click on the links below to check out details and sign up. Hope to see some of you there. They are always enjoyed by everyone and no better time to take a little extra care of yourself!! No experience needed. Come breathe, move and relax. As always, I want to thank you for being wonderful patients and for your referrals. I hope everyone enjoys this holiday season and has a healthy, happy 2017 as well! http://www.jayguanciacupuncture.com/wp-content/uploads/2015/12/jay-guanci-acupuncture-logo.png 0 0 admin http://www.jayguanciacupuncture.com/wp-content/uploads/2015/12/jay-guanci-acupuncture-logo.png admin2016-12-06 13:41:472016-12-06 13:41:47Gift Baskets, Yoga/Acupuncture classes and More! Yoga and Acupuncture classes this fall – 5 locations! Please sign up for one of the yoga/acupuncture events this Fall/Winter! Everyone enjoys them so much. Great way to unwind after a long week or a busy weekend. Great “Mom’s Night Out” too – come with a friend! Two self care opportunities in one! http://www.jayguanciacupuncture.com/wp-content/uploads/2015/12/jay-guanci-acupuncture-logo.png 0 0 admin http://www.jayguanciacupuncture.com/wp-content/uploads/2015/12/jay-guanci-acupuncture-logo.png admin2016-09-20 19:25:252016-11-01 11:24:17Yoga and Acupuncture classes this fall - 5 locations! For many people, September is a time for change. Back to school, the seasons are changing and you may want set a health goal or try something new to help you feel better. Something new you could try is an aspect of Traditional Chinese Medicine known as cupping. On the heels of the Olympics in Rio, we saw just how many athletes, including Gold medal winner Michael Phelps, are using this ancient therapy to improve performance and feel better. Better health is something everyone wants – why not try this amazing technique. It can provide numerous health benefits which I will discuss here. One way to think about cupping is like an inverse massage. Rather than applying pressure to muscles and fascia, the suction (created by pumps or flame) uses pressure to pull the skin, tissue and muscles upward. I will often combine cupping and acupuncture is the same treatment, but it can also be done alone or with TuiNa (Chinese Massage). Cupping was developed many thousands of years ago. Evidence of cupping exists in many different cultures including ancient Chinese, Native American, Greek and Egyptian societies. Although some of the techniques have changed and some of the tools have been modernized the theory behind it remains unchanged. Hippocrates, the “Father of Modern Medicine”, is said to have used cupping and it is mentioned in his guide to clinical treatment. Cupping involves placing glass, bamboo or plastic cups on the skin and creating a vacuum by suctioning out the air. I use sterile glass cups in my office that are each crafted with a valve that at suction pump attaches to. The underlying tissue is sucked into the cup and can look quite bizarre to someone who has never seen it done. The purpose of cupping is to enhance circulation, relieve pain and removes toxins that linger in your body’s tissue. It can also help with respiratory complaints, especially when done over the lungs. A tight, pulling sensation is often reported in the area that is cupped. It should not be painful. Some people find the treatments relaxing, comforting and soothing. The cups may be moved around (sliding cups) over some lubricant or left in place (stationary cups). The can stay in place a very short amount of time (quick cups) or up to 10 minutes. Each treatment is unique to your circumstances on that day. Areas that can be cupped include the back, traps, between the scapulae, lumbar area, hamstrings, calves and even the soles the feet (good for plantar fasciitis). Cupping over the abdomen can also be beneficialfor constipation. Cups generally do leave a mark. The skin temporarily turns red, purple or or blue especially if there is a lot of tension or stagnation under the area or if an energetic blockage that needs to be addressed. The marks are rarely painful. Once the marks have gone away it is safe to repeat the treatment until the problem has resolved. Celebrities such as Kim Kardashian, Lady Gaga, Justin Bieber, Jennifer Aniston and Gwyneth Paltrow all are faithful fans of cupping. Athletes use cupping as a secret weapon. Many Olympic swimmers use cupping to retain that competitive edge and to restore muscles to optimum firing capability after a particularly grueling training session. Cupping is not just for swimmers though – ballet dancers, tennis players, baseball players, runners, and many other types of athletes have all turned to cupping to relieve stiffness and help address different issues and injuries. Cupping helps stimulate the flow of fresh blood, lymph and Qi to the affected area and throughout the body. If often works well on patients who have recently come down with a cold, or what we in the acupuncture world might call a “Wind Cold Invasion”. This type of treatment needs to be done right at the first onset of symptoms to be beneficial. Remember to always keep the area covered after treatment. So, if you have something big planned and you can’t afford to be getting sick, give me a call and we can do some cupping that day to see if we can curb the cold before it develops. It should be noted that cupping should be done only by qualified and licensed professionals. This is not something to try at home with a random kitchen glass! It could result in serious injury so please always call a professional if you are interested in cupping.